Admit One Products offers more security features than any other ticket company in the world. We have put together this easy to see reference guide of all of your choices. Some products are not offered on all stocks and it would be best to talk with one of our knowledgeable salespeople about what features would be best for your needs and budget. With the widespread access to 4 color copiers, color printers/scanners and desktop publishers, anti-counterfeit protection is becoming a must. These security issues dictate that all your Advance Sale Tickets, Multi-day Passes, and other ticket types available to the public prior to use at your venue, should have some form of anti-counterfeit protection. 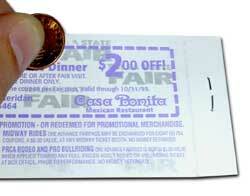 Embossing and Debossing are techniques that raise or lower the print or image on the ticket so that when you touch it you can actually feel the image. We can provide both these methods. 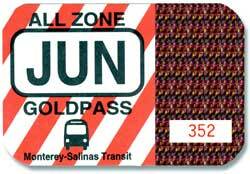 Thermography, Also known as raised print, can be done with our reserved or general admission computer-style tickets in up to 4 colors of ink. We add glitter when the ink gets raised so that it adheres to the ticket. 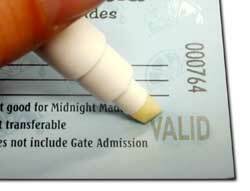 Proper choice of paper can add a lot the the security of your admission products. We can supply safety paper in unique varieties and there are safety features in other paper stock as well, such as safety bristol. Here are some examples.